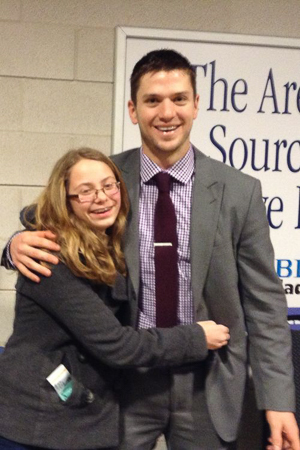 All Madison wanted for her 16th birthday was to meet her favorite hockey player Joey Martin (#14). When he found out it was her birthday he was nice enough to not only sign her shirt, but to pose for a picture with her as well. I know she will never forget this night. Next Post Sleep Tight…..Sweet Husky!